Made it into Kansas City Saturday afternoon, greeted at the airport car rental return by two excited nieces. By late afternoon the girls decided they needed to set up a lemonade stand. Tray tables were set up by the curb, a pitcher of lemonade and a stack of cups placed on them. Two handwritten signs advertised the goods and a portable stereo provided the tunes. Just opened for business with two enthusiastic entrepreneurs. Eventually, boredom sets in. Few cars passing by and those that do, smile and wave but don’t stop to buy lemonade. A neighbor walks by with her dogs, stops to chat for a while and donates fifty cents to the cause. Eventually, dad is pressed into service. Another two neighbors come over and buy two cups of lemonade, paying a dollar and leaving their change as a tip. 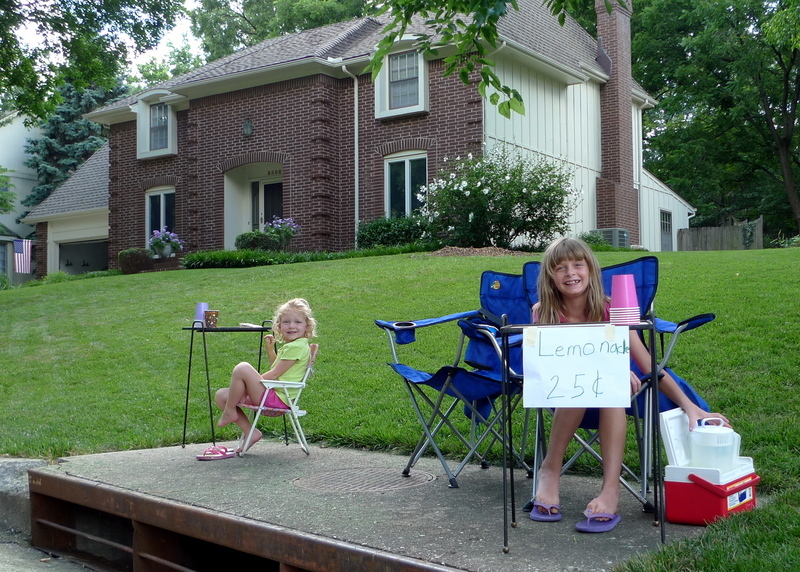 This entry was posted in Uncategorized and tagged family, Kansas, Lemonade Stand, Nieces by christao408. Bookmark the permalink. Business can be pretty slow sometimes…perhaps a more active location would help. Nice. I just bought Country lemonade powder yesterday. Should I do that too, on the beach maybe? Dang that’s a good deal! It’s quite a coincidence that I read this article this morning…http://www.suntimes.com/business/savage/2464546,CST-NWS-savage05.savagearticlethe whole time I was thinking…what the heck is wrong with this woman? @Wangium – Talk about someone blowing things out of proportion. Jeesh! @murisopsis – Jasper realized that should a customer show up, he didn’t have the opposable thumbs to pour them a drink. @z_stands_for – Isn’t it, though? =D@Roadlesstaken – @yang1815 – @marc11864 – I’ll admit they hadn’t done a lot of market research to select an appropriate price point. @foggysunnymorning – Good way to finance the summer vacation! @jandsschultz – Agreed. @TheCheshireGrins – They thought $1.50 was a hugely successful day! Just 25 cents? Maybe it’s one of those few things whose price never seems to change over the decades. 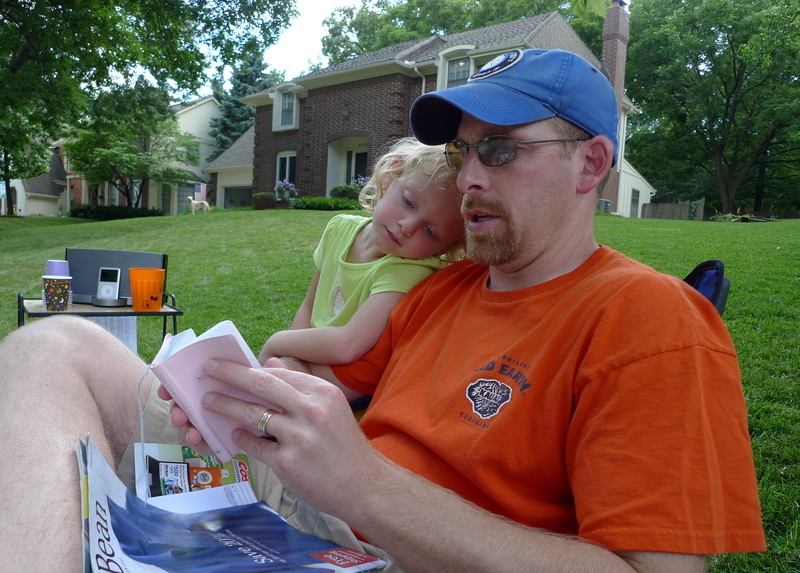 Ah the joys of a summer lemonade stand! My son had one when he was seven years old and couldn’t understand just why his lemonade wasn’t selling!! What was worse,..the two people who bought the lemonade from him made faces and poured it out on the ground. I asked him if he had tasted his brew before he tried to sell it!! Poor little boy says,.”No mommy,..you taste it! !”I did taste his brew and I found that he had mixed up the SALT sack for the sugar sack!! Ugggggh! His lemonade had a kick to it that would have knocked a mule out cold!! This reminds me of the time when Saadi and Sayeed were young and did that. M and I were the biggest customers it seems.. and the toilet in the bathrooms just kept goiing. Every time a neighbout stopped by and donated or got a drink and paid more than the 25cents, they would come running into the house to tell me about the great amount they had collected. Beautiful memory! @Dezinerdreams – @csn71650 – For some reason, I don’t think the entrepeneurs give much thought to costs when they set their prices! =D@Stanelle – That’s so funny! He could have sold it as a sport drink like Gatorade. 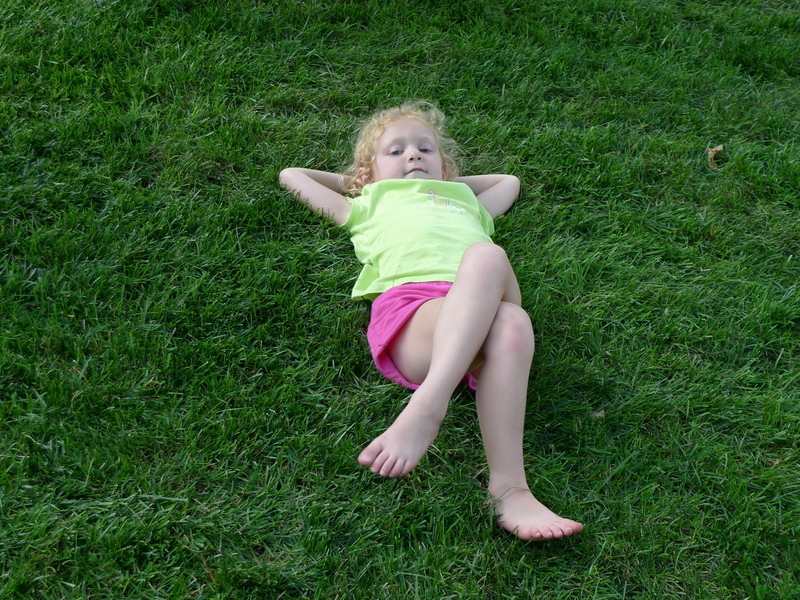 @ZSA_MD – It is a rite of childhood in America, I think, to set up a lemonade stand. The last picture and the caption had me howling with laughter. HAHAHAHA…. @ElusiveWords – Yeah, poor dog has to do all the work. aww they’re so cute.and what a beautiful neighbourhood! 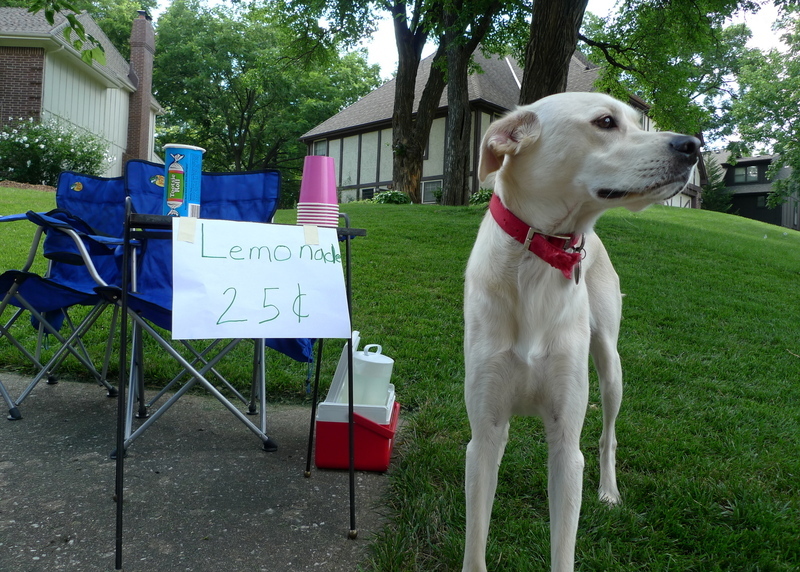 @ungrandvoyage – Were you a former lemonade stand entrepeneur? @stepaside_loser – It is a really nice neighborhood. Many cities in the midwestern US has very lush neighborhoods with big shade trees.